Go and create your perfect world. 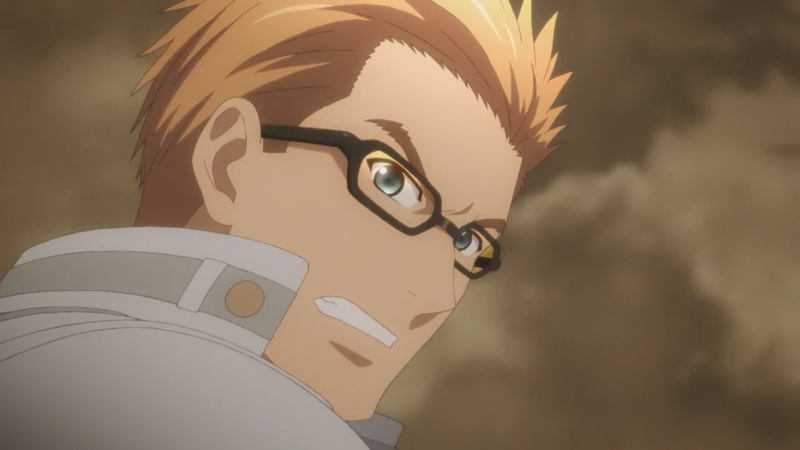 Julius is Ludger's older brother and a director at Spirius Corporation. He encourages Ludger on his first day of work, but later attacks Bisley Bakur during the train hijacking. He goes missing after the attack and is the police's prime suspect for the hijacking. Ludger tries to find him to clear his own name and discover the truth, but Julius is busy destroying fractured dimensions on his own. 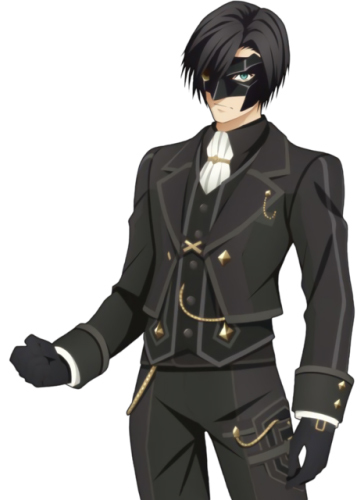 Like Ludger, Julius is a descendant of the Kresnik line and possesses the Chromatus power. He appears to be a harsh person in his role as a Spirius agent, but is really caring toward his younger brother and their cat. 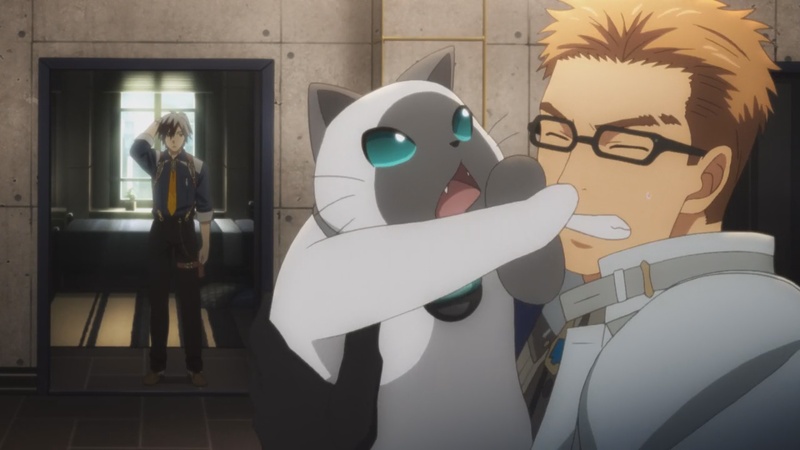 Rollo is Ludger and Julius's pet cat. He is quite chubby due to his owners spoiling him a bit. Rollo takes quite a liking to Elle and usually follows the party everywhere on their adventures. Rollo and Elle supervise the Kitty Dispatch system together, with an animation showing Elle sending out Rollo at the start of each dispatch mission. As more cats are located, some skits even remark on Rollo's increasing status as a feline monarch. I know the surface of this man, but that is not enough. Now, I must measure his depth. Bisley Bakur is the CEO of Spirius Corporation, the most powerful company in Elympios. He encounters Ludger during the train hijacking incident and, impressed by his skill in battle, requests that he and Jude to act as his bodyguards until the train is retaken. 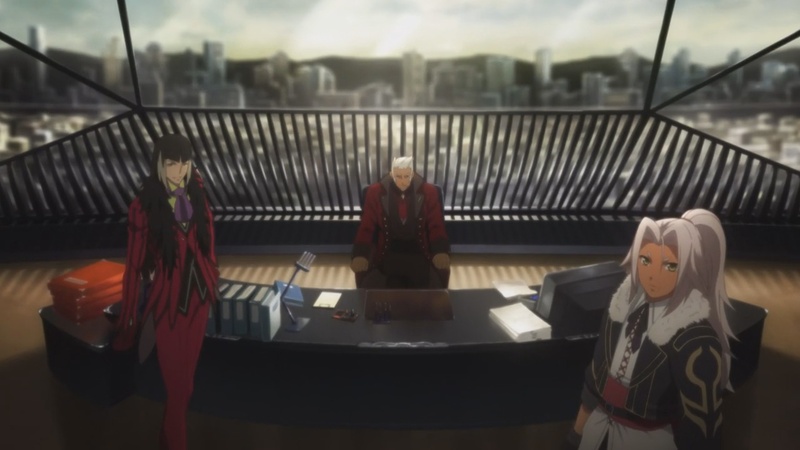 Following the train crash, he informs them that Ludger is suspected as an accomplice in the attack and requests that he work for Spirius Corporation in exchange for Bisley using his influence to keep the police off his back. Bisley has a very commanding presence. He is very concerned about the fractured dimensions and devotes much of his company's resources to their destruction. With a proper work ethic and a bit of elbow grease, anyone can make money if they try. Even you. Being a child is hardly a valid excuse. Rideaux is the Vice-President of Spirius Corporation, answering only to Bisley Bakur. He finds Ludger, Elle, Jude, and Rollo after the train crash and treats their injuries, but charges an exorbitant fee for his services. Rideaux is a sadistic person who enjoys antagonizing Julius and is not above bullying Elle to get Ludger to do what he wants. We have your wallet surrounded! Give up the gald and nobody gets hurt! 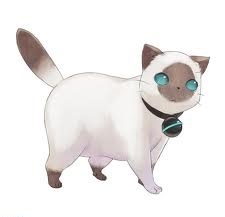 Nova is an employee of Verland Bank and a childhood friend of Ludger. She is also Vera's twin sister. When Ludger is forced to take out an outrageous loan, Nova is assigned to make sure he stays on track to repay his debt. Nova is a very cheerful and lively young woman who often jokes around and makes puns while requesting repayment. She genuinely cares about Ludger and Vera, but her attitude often comes across as annoying to them. I’m glad we have an understanding. Now, allow me to commence the briefing. Vera is an employee of Spirius Corporation and Nova's twin sister. 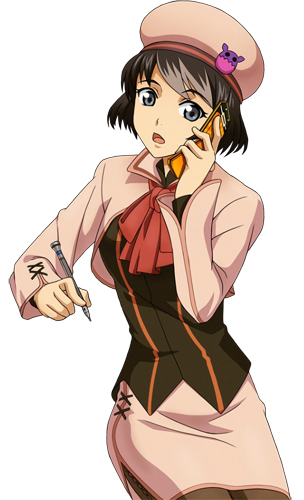 She works as an assistant to Bisley and frequently calls Ludger to assign him new work whenever a new fractured dimension is discovered. Vera is a very serious and reliable person, but she is very socially awkward outside of work. 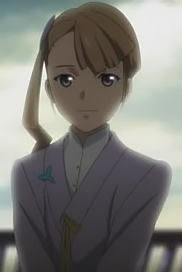 Ivar was Milla Maxwell's handmaid in Tales of Xillia, but is now a junior agent of Spirius Corporation. He provides Ludger with the sledgehammer and pistols after the latter becomes a Spirius agent, but teaches him how to use them by attacking him. Like in Tales of Xillia, Ivar is very egotistical and overly enthusiastic. He still has strong feelings regarding Milla and is disdainful toward Fractured Milla as a result. He has toned down his rivalry with Jude since becoming a Spirius employee though. It’s a place where any wish can be granted. It’s where you and I can finally live in peace. Victor is very protective of his daughter. He is also a good chef and specializes in making food that matches Elle's very particular tastes. Victor is a version of Ludger from a fractured dimension several years in the future. After his wife, Lara Mel Marta, died, he raised Elle on his own in a house near Lake Epsilla. When Spirius agents attack, mistaking him for the Key of Kresnik, he sends Elle away to the prime dimension and kills the attackers with his Chromatus transformation. When Ludger and friends visit Victor’s dimension, Victor makes a delicious dinner for everyone and puts Elle to bed, then invites the rest of the party to step outside with him. He then reveals that he has killed his dimension’s versions of Julius and the other remaining members of the Kresnik family, in addition to Jude and his companions. 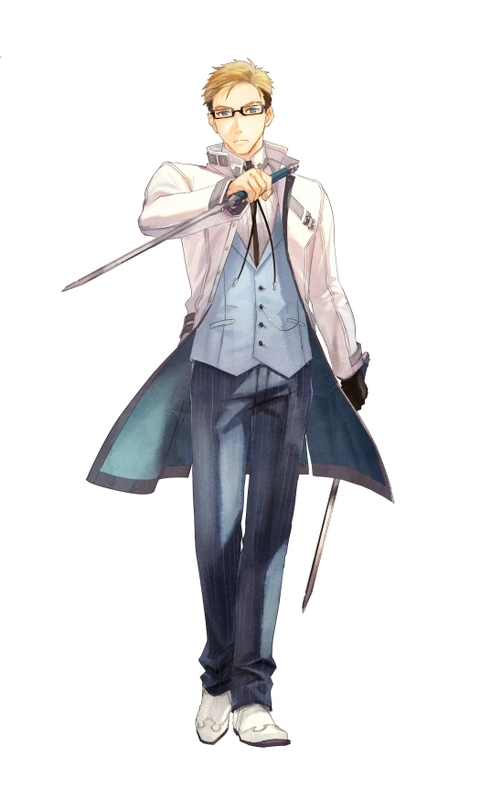 His murders of the other Kresnik scions has made his Chromatus far stronger than Ludger’s, but it has also turned him into a divergence catalyst. When Ludger defeats him in the ensuing fight, Victor reveals that he is the final Waymarker. He hums the Hymn of Proof as he dies. I am the guardian of the land of Canaan. I am the Great Spirit Chronos. I’ll hurl you into the abyss between dimensions. Like I did with the new Maxwell, who sided with the humans! Chronos is the Great Spirit of Time, one of the three primordial spirits. He detests humanity and interferes with their ability to complete the Trial of Origin by doing everything he can to prevent them from reaching Canaan. To that end, he traps Milla Maxwell in the dimensional abyss. You see, the souls tell me everything. They’re sort of like my little birds. Origin is the Great Spirit of the Void, one of the three primordial spirits. He purifies the souls of humanity so that the reincarnation cycle can continue, but the overabundance of souls caused by the fractured dimensions is making that increasingly difficult. It’s a pleasure to finally meet you. Lara is Elle's mother, who died when she was very young. In a fractured dimension, Lara was Victor’s wife and Elle’s mother. Her death caused Victor to grow increasingly protective of Elle. In the prime dimension, Lara only appears in Ludger’s Ending. 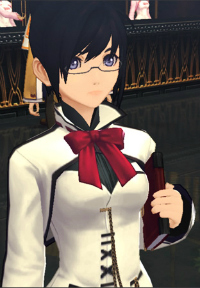 As Chairwoman of the Rugen Consortium, she has a business meeting scheduled with Ludger. Recognizing her name as that of Elle’s mother, Ludger rushes to the meeting room and cries upon seeing her in person. Honestly, we’re still having trouble controlling spyrites at all. We’d be insane to try tackling a Great Spirit. Balan is a spyrix technician working with Jude at the Helioborg Research Station to create spyrites. He is also Alvin's cousin. When Exodus attacks the research station and the spyrite Volt goes berserk, Balan lures the attackers away from the schoolchildren visiting from Rieze Maxia. After the attack is thwarted, he continues to work with Jude on their research. 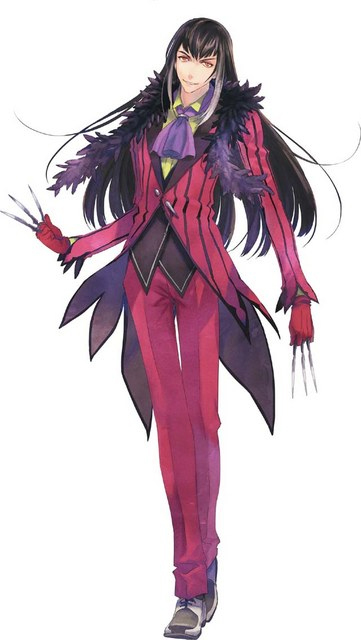 A returning side character from Tales of Xillia, Balan appears in minor roles in both the main story of Tales of Xillia 2 and in Jude's character chapters. How many times must humanity repeat this? We spirits are not tools for the convenience of humankind! Celsius is a Great Spirit who was revived from a great spirit fossil using Jude's spyrite technology. She resents humans for trying to control her, although she has had positive interactions with humanity in the distant past. 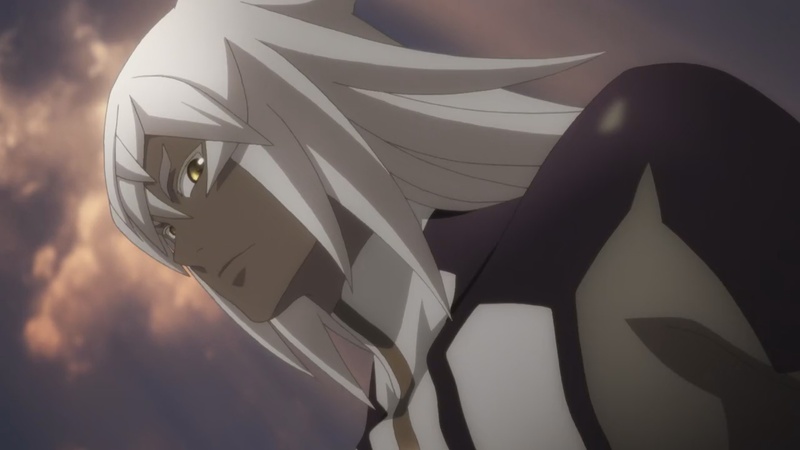 A returning side character from Tales of Xillia, Celsius is prominently featured in Jude's character chapters. Celsius’s spirit fossil is initially given to Jude’s lab in an attempted bribe. Jude does not plan to use it anytime soon, as their current research barely allows control over minor spyrites and he does not think they were ready to work with a great spirit just yet, but his assistant Mary grows worried about their lack of recent progress (and research funds) and activates the fossil anyway using an experimental spyrix device. Celsius becomes a spyrite, but lashes out at the scientists because the device is causing her great pain and attempting to override her will. She escapes the lab, but Jude is horrified by the realization that his work has caused such pain to a spirit. Celsius is later located in the Kukhar Ice Caverns, where she attacks the party before revealing that her fossil’s mana is dwindling and so she will not last much longer as a spyrite. She had traveled to this area because it is the site of a long-gone village she had visited 500 years earlier. As they learn about her past, they discover that Celsius was once close to a human named Dr. Howe. Celsius is reminded of her time with Dr. Howe by the bond that Jude and Milla share, as well as Jude’s expressed desire to create a world where humans and spirits can coexist. To prove the strength of their conviction, Jude and Milla battle Celsius one more time. As Celsius fades away, she finally believes that they may be able to achieve their dream of coexistence, a dream that she and Dr. Howe once shared. Thank you for your support, but it is not just Elympios that must prosper. I seek widespread joy for all. Marcia is the Chancellor of Elympios. As such, she is heavily involved in the peace process with Rieze Maxia. She is trying to create a lasting peace that will lead to happiness and prosperity for both worlds. 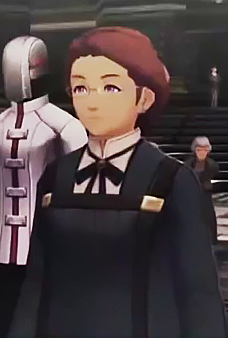 Chancellor Marcia appears in a minor role in the main story of Tales of Xillia 2, but is more prominently featured in the Rowen and Elize's character chapters. Marcia initially appears in a fractured dimension in Rowen’s character chapters, where she tells her citizens that she wants to bring happiness to both worlds rather than just Elympios. She and Rowen bond over shared literary interests. In this dimension, Marcia is terribly lonely and only has her cat, Sonny, for a friend and confidant. Sonny turns out to be the divergence catalyst and is destroyed by Ludger, along with the fractured dimension. Rowen determines that he should reach out to Marcia in the prime dimension in case she is lonely there too. They eventually develop a friendship. 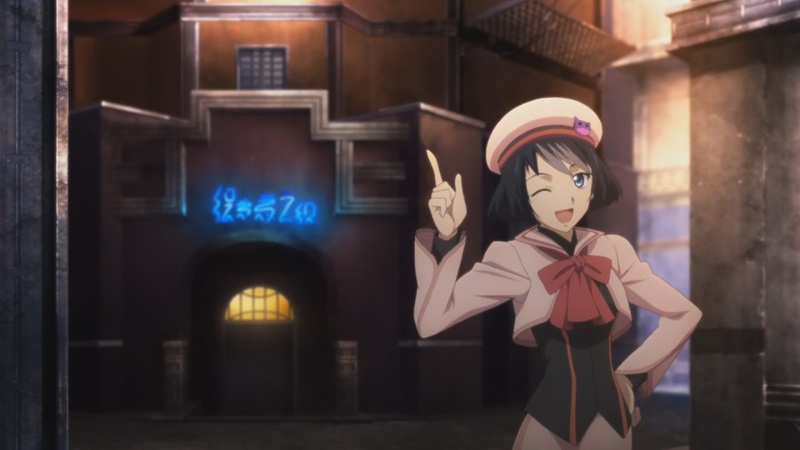 In Elize’s character chapters, Marcia meets Elize, Rowen, and Ludger in the mines near Leronde when her retinue is taken hostage by Exodus terrorists during a diplomatic mission. Marcia managed to escape capture and asks for their help. When her GHS ringtone goes off, Elize realizes that Marcia is also her penpal, Luna, who she has been texting for some time. Elize, Rowen, and Ludger defeat the terrorists who were actually just hoping to exchange the hostages for some of their comrades that were captured earlier and are now scheduled to be executed. Understanding that they only acted out of friendship, Elize promises the terrorists that Chancellor Marcia is a kind person who will show them and their comrades leniency if they surrender. Unfortunately, Marcia’s duties as chancellor require that she show no mercy toward terrorists and so she orders their execution. When Elize tells her about her promise, Marcia dismisses it as a childish decision. 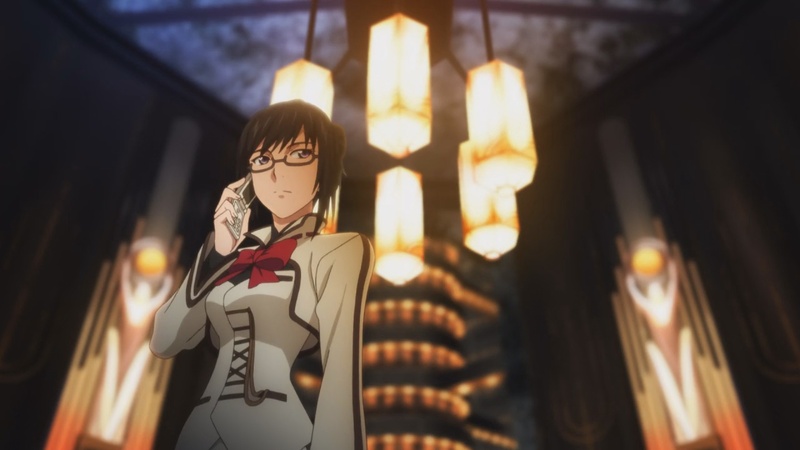 Stunned by her coldness, Elize cannot bring herself to even read texts from “Luna” after the incident, but she eventually realizes that leadership responsibility sometimes necessitates putting aside one’s personal feelings in favor of following the law. Marcia tells her that it is also important not to let jadedness get in the way of her pure heart. Elize says that Marcia is like the perfect big sister and they resume their text correspondence. In the main story, Chancellor Marcia appears when the peace accords between Elympios and Rieze Maxia are being signed. 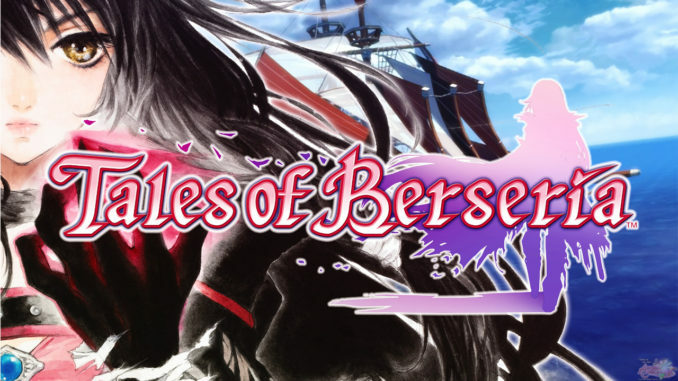 Her ship is overrun by Exodus terrorists, who Ludger and friends must defeat to protect Marcia and the fragile chance of peace between the two worlds. With great sacrifice, they are able to retake the ship and the peace treaty is signed. This was a real learning experience for me. I’m not the world’s best businessman. 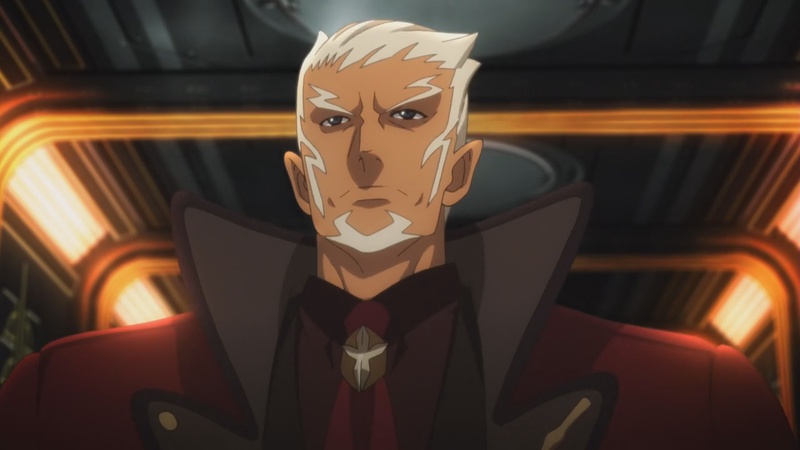 In Tales of Xillia, Yurgen was the head of the Kitarl Clan. Now he is working as Alvin's business partner to bring Rieze Maxia and Elympios together through commerce. Their business strategy involves selling fresh fruit from Rieze Maxia to distributors in Elympios. Yurgen is prominently featured in Alvin's character chapters. Yurgen is somewhat mistrustful of Alvin due to the latter’s tendency to lie and double cross his allies whenever convenient during the events in Tales of Xillia. Yurgen’s honest nature comes across as naïve in the cutthroat business culture of Elympios though, so their partnership is growing increasingly fraught. When Yurgen meets a friendly competing businessman who is interested in his ideas, he is happy to share, but is later devastated to find that the competing company has stolen his and Alvin’s plan and is even luring away their distributors. The businessman who misled him laughs it off as standard business practice in Elympios and offers them both a job. Alvin appears at least vaguely interested, but Yurgen rejects them outright. He then lashes out at Alvin, saying that he cannot work with anyone from Elympios. However, Alvin does not accept the Elympios company’s job offer, insisting that he needs to stick with his business partner instead. Once Yurgen calms down, they recognize that being from different worlds and cultures means they can each bring different perspectives to their work together to help their business ultimately succeed. 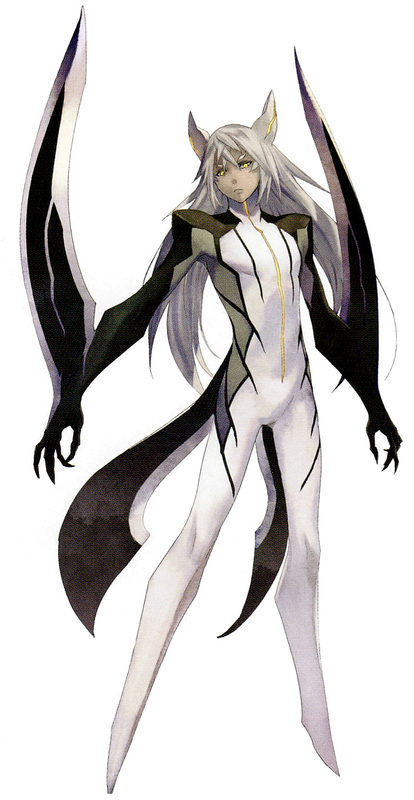 Yurgen also appears briefly in a fractured dimension in Elize’s final character chapter. 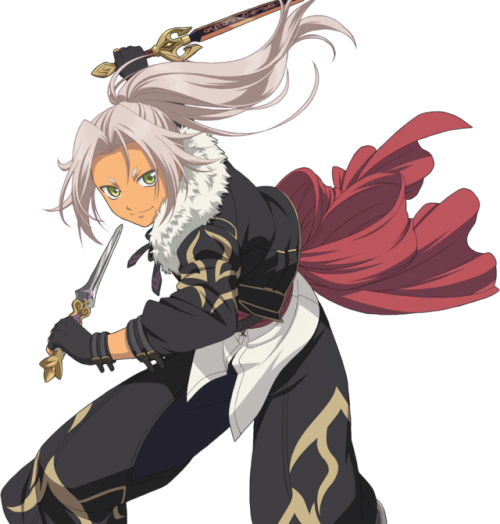 In this dimension, he is a poacher in the Kitarl Clan, although the clan’s chief is actually Jiao, a member of the Chimeriad in Tales of Xillia. He joined the poachers in order to get money to buy medicine for his sick wife. When Yurgen’s poacher allies try to blackmail Jiao, Jiao kills Yurgen along with the rest of the poachers. I knew Tanner had his problems with Rieze Maxia and I always hated that part about him. But he’s still a good friend! Kyle and Tanner are delinquent students from Elympios who bump into Gaius and Ludger while running from a local police force and end up becoming good friends toward Gaius, who they only know as "Erston." Tanner, the leader of their group of friends, is a somewhat gruff young man with a strong dislike of Rieze Maxia. Kyle, on the other hand, is more a more understanding person who is really impressed by Gaius's combat skills. They have been best friends since they were children. 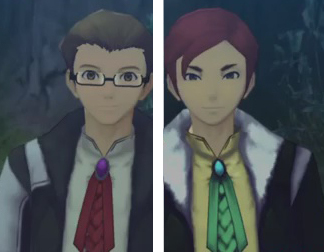 Tanner and Kyle are prominently featured in Gaius's character chapters. When a local police officer named Hershel is harassing Tanner and Kyle’s group of friends, they flee the scene and accidentally bump into Gaius, Ludger, and Muzét. The police assume they are all part of the same group of delinquents, so the party ends up helping Kyle to escape. When they all regroup later, Kyle is really impressed by their skills and wants to spend time with Gaius to learn some moves, but Tanner is must more reluctant. He lures the party away from his friends, expresses his hatred of Rieze Maxians, and joins several others in a failed ambush attack. Kyle is upset to hear that Gaius beat up Tanner, even though he admits that he personally dislikes Tanner’s attitude toward Rieze Maxians. Gaius tracks down Tanner, who has been missing for a while, and convinces him that he should not throw away Kyle’s friendship because of a mere difference of opinions. 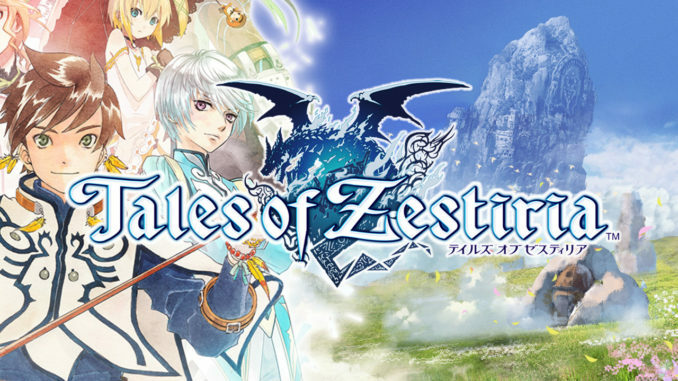 Later, once the group is reunited, Kyle invites both Tanner and Gaius on a trip to Rieze Maxia. They explore the Sapstrath Deepwood together and then take a group photo with a camera the students purchased for Gaius. However, on their way back through the border city of Marksburg, Kyle goes off alone to purchase a new GHS and is harassed by a Rieze Maxian soldier. He lashes out and ends up killing the soldier. Kyle and Tanner are both arrested by the Hershel. He mildly injures them in the process and then reveals Gaius’s true identity as king of Rieze Maxia, irreparably damaging their friendship. Gaius cannot assist Kyle without abandoning the victim’s grieving family (his own subjects) in the process, and thus failing in his duties as king. He ends up extraditing Kyle to Elympios in exchange for political concessions for Rieze Maxia. When Ludger talks to Tanner later, he says that Kyle got probation but is now having trouble finding work since he has a criminal record. Gaius writes him a personal job referral and vouches for him to a business associate in Elympios.